In trying to avoid the January blues I decided to escape north in search of cosiness by heading to Edinburgh for the weekend. 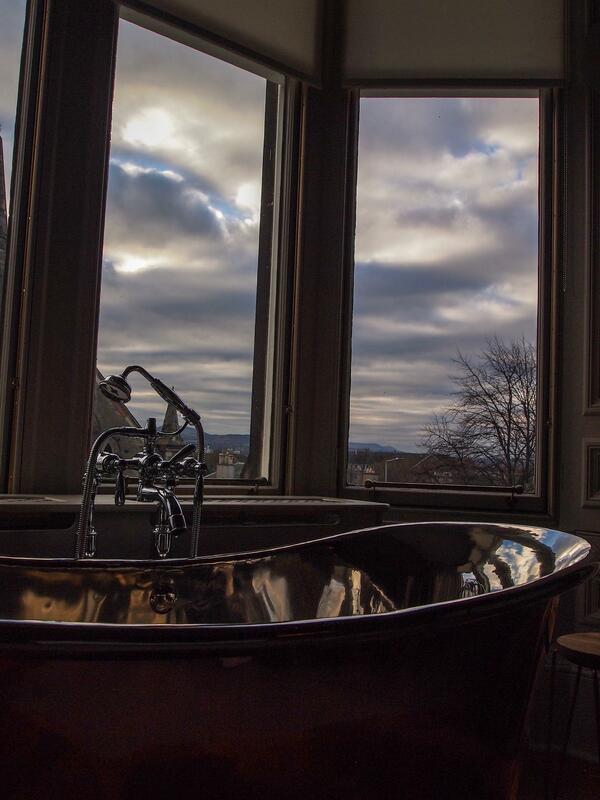 As I had only ever been to Edinburgh once before when I was a child, I was excited to explore and truly relax in The Dunstane Houses. 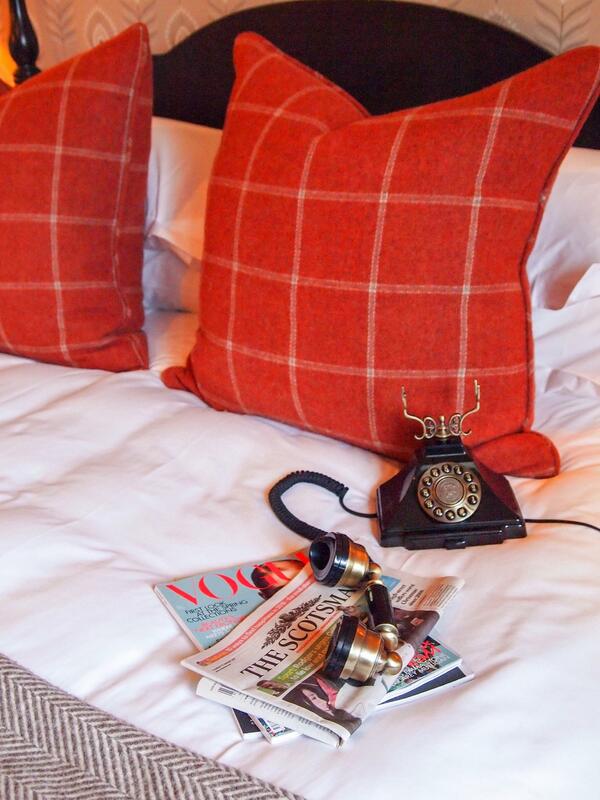 This gorgeous boutique hotel was just what I needed to cosy up with the most glorious tweed and wool Scottish furnishings, incredibly fresh food and really unique touches. 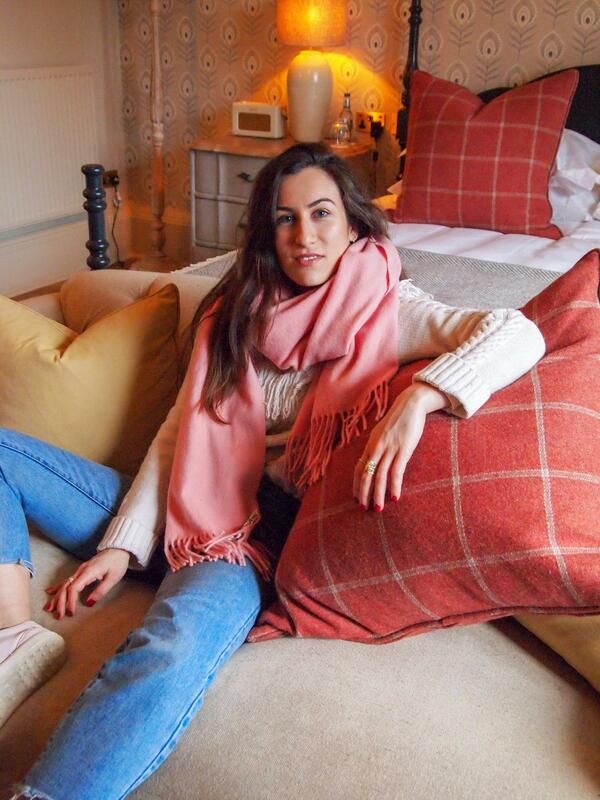 I wore cosy jumpers including my Joie cream jumper, straight leg denim by Brandy Melville and my cosy pink Acne Studios wool scarf. 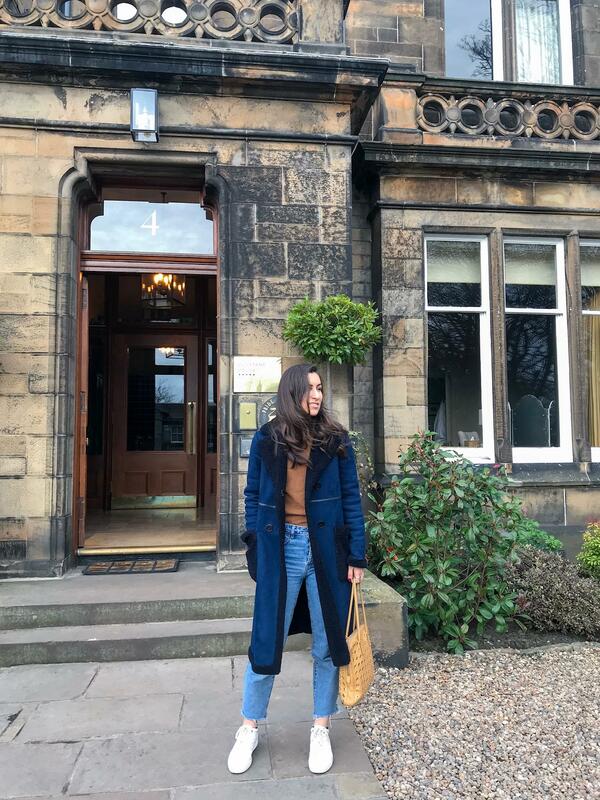 I also wore my caramel Uniqlo cashmere polo-neck and long navy Mango coat for ultimate cosiness which was perfect both for roaming around Edinburgh and also just chilling at The Dunstane Houses. Also underneath it all I wore my favourite Alexander Wang x Uniqlo thermal tops which are the most useful item of all when it comes to dressing for cold weather. For more of an evening look, I wore my favourite Topshop off the shoulder jumper and silky satin, bias-cut skirt. For my accessories, I opted for my Tod trainers for the day and my Everlane Boss boots for the evening. Finally, I brought my mum's vintage, studded Prada bag in yellow-ochre for the trip. 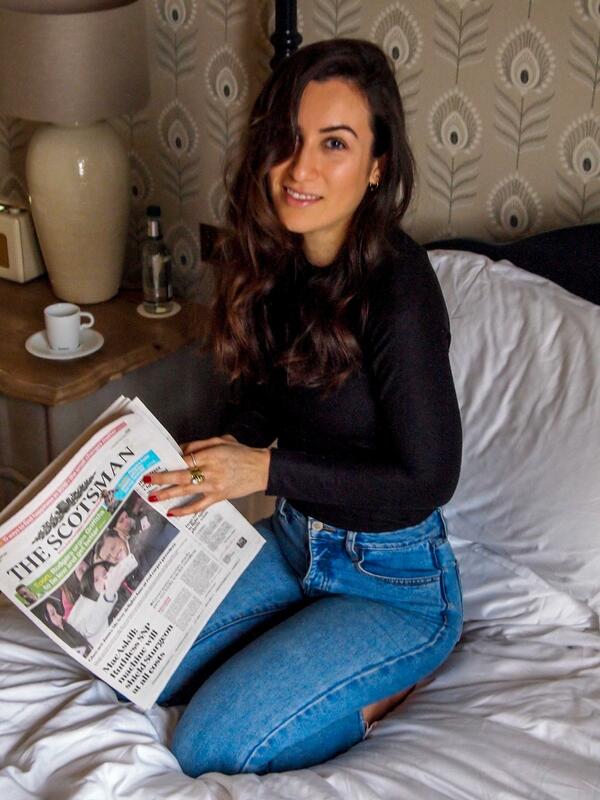 The Dunstane houses itself was the perfect place to stay as it meant I could easily walk into the city centre but was the ultimate home away from home. I actually ended up spending one of the evenings trying their very own distilled gin and ordering 3 courses of food just because each course seemed to get better and better (especially the cheesecake!). Another special mention for me was definitely the Noble Isle products in Whisky and Water which they had in their bathrooms and was the dreamiest thing to smell whilst in the bath... 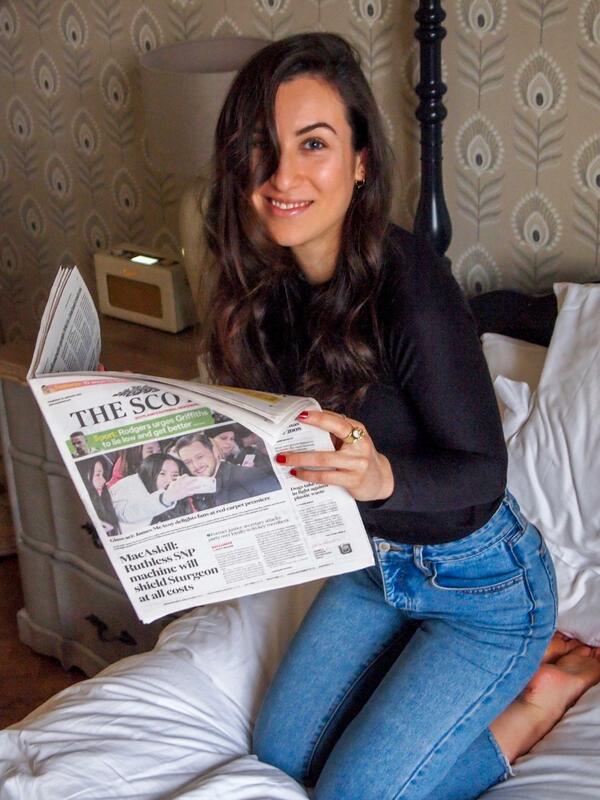 Overall my favourite stays are those that provide a truly unique experience and make you feel super at home and this one was definitely one of those! 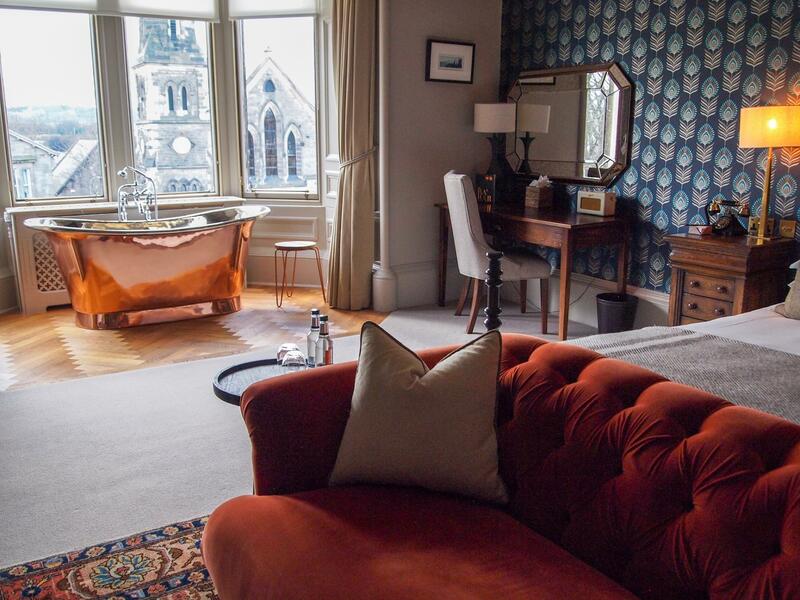 All opinions are my own, but I was very kindly allowed to stay at The Dunstane a night for free in Edinburgh.